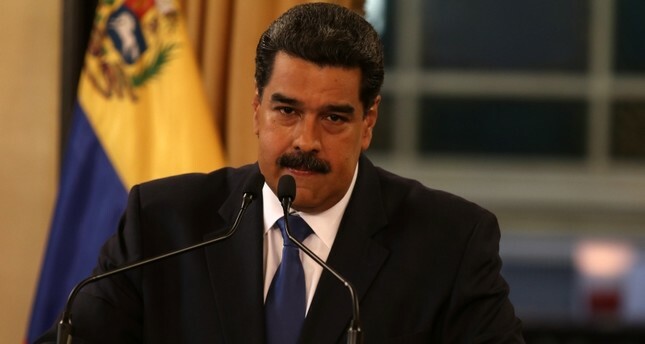 Venezuelan President Nicolas Maduro said on Friday the U.S.-backed humanitarian aid being stockpiled in the Colombian border city of Cucuta for his country should be distributed to poor Colombians as Venezuelans are not "beggars." The day after trucks carrying medicine and food arrived in Cucuta, Maduro, who has become increasingly isolated internationally, told a news conference that Venezuela did not need the aid that includes supplies provided by the United States. The dire situation has fueled a political crisis that has peaked over the last month with opposition leader Juan Guaido invoking a constitutional provision to declare himself the legitimate president. He argues Maduro was re-elected last year in a sham election. Representatives of the European Union and a group of Latin American governments met in Montevideo, Uruguay, on Thursday to discuss the crisis. "We reject the partisan and ideological nature of the document," Maduro said on Friday, adding that he would always welcome dialogue with anyone. Critics say three previous dialogues have allowed the ruling Socialist Party to stall for time without making major concessions on key issues including imprisoned opposition politicians and electoral transparency. Guaido has said the time for dialogue has passed.